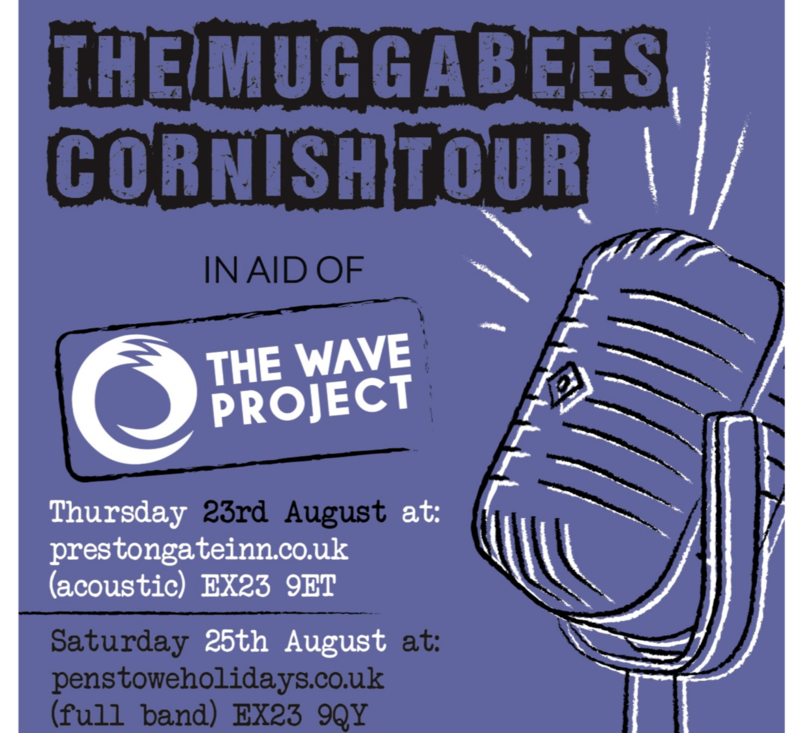 Stoked to share that one of our lovely volunteers his band The Muggabees are touring Cornwall in aid of The Wave Project! The Muggabees have played to crowds of up to 5k and raised over £20k for charities so far…how AWESOME is that?! 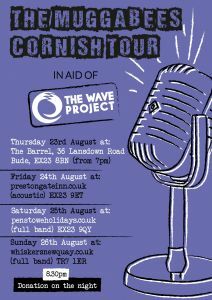 Other than the first date, the other three gigs will starts at 8:30pm and if you can donate on the night that would be EPIC! If you’d like to check them out please click HERE. A huge thank you in advance to Darren and The Muggabees…we 💙 you guys!